Relaxed Restyled Stripe Split Back Top is rated 4.3 out of 5 by 15. 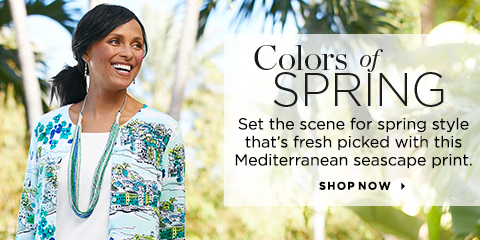 Super-soft fabric and heathered stripes keep this Relaxed Restyled top so comfy and casual. Plus, a solid insert combines with the split back to create a faux layered look. Rated 5 out of 5 by Little E from Super comfy. I loved the longer length and the soft cozy material. Rated 4 out of 5 by Granny quilter from Really soft and warm I didn't try it on in the store. I like the way it fits and feels on except the piece in the back tends to pull the back down. I have only worn it once and hope it doesn't do it all the time. I like the colors and the fabric. Rated 4 out of 5 by Pam5 from Cute top! I have received lots of compliments on this top. I really like the relaxed feel of it. I dress it up with a jade colored necklace and it looks very nice. One issue is that the back insert is a little heavier fabric and so it tends to pull down in back and puts the neckline closer to the bottom of my neck. I find myself pulling it forward, getting the shoulder seams back where they should be. This is not a huge issue and certainly doesn't keep me from wearing it. Washes up very nice! Rated 2 out of 5 by Big Spender from So so Heavy in the back so it pulls that way. It’s too big in the neck like many of your products so it pulls back even worse. I kept it because I had to have something to wear. Rated 5 out of 5 by ohboyd27 from LOVE the Unique Features This is the softest top with the cutest back detail!!! Rated 5 out of 5 by lukecrew from So comfy! 5 stars! I’ve washed and worn this comfy and yet stylish top a lot this spring. Looks great and feels great! Rated 2 out of 5 by CarlaB from Wanted to like it. It was great for the first wearing but it didn’t hold its shape. It feels lopsided whenever I wear it now. It could have something to do with what other reviewers complained about - the tail in the back pulling the front out of shape. Rated 2 out of 5 by Library lackey from Nice color and sizing, but... I was fuzzy all over my first hour wearing the top, and I unfortunately had to adjust the shoulders and neckline because the weight of the back design kept pulling the shirt back so the draping looked wrong.